The real world starts now. Winter Break? Don't make us stop! Opening Day at the Lancaster Campus! 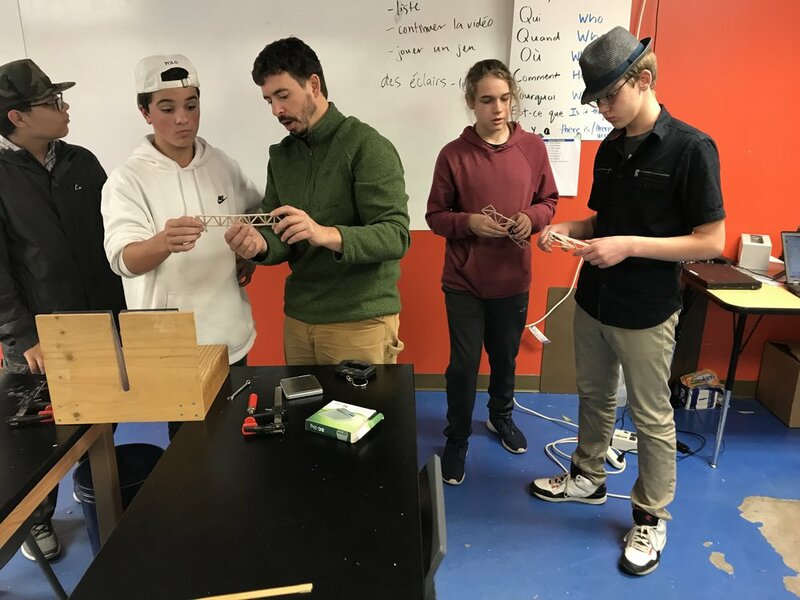 Students in Introduction to Engineering analyze their truss bridges with instructor, Jon Amory.